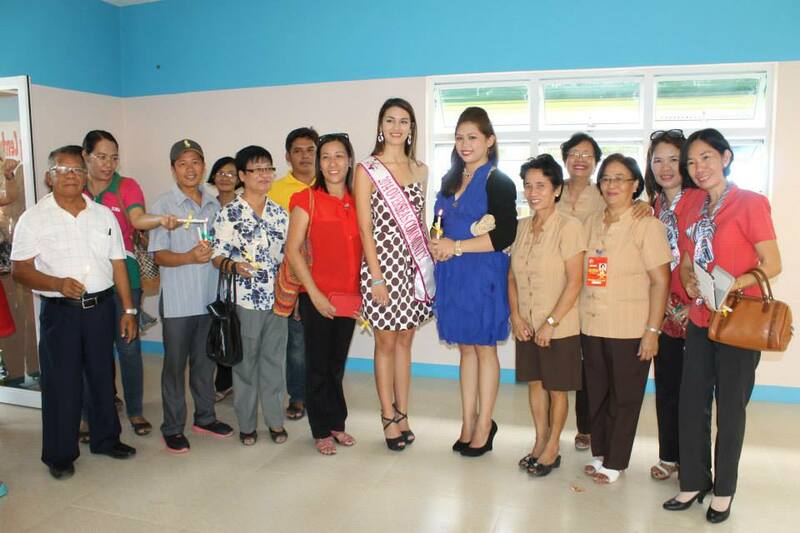 Cabatuan, Iloilo (September 10, 2014) - Patrizia Garrido Bosco, Mutya ng Pilipinas Overseas Communities, was the guest of honor in the blessings and inaugurations of various projects of the Municipality of Cabatuan last monday, September 8, 2014. 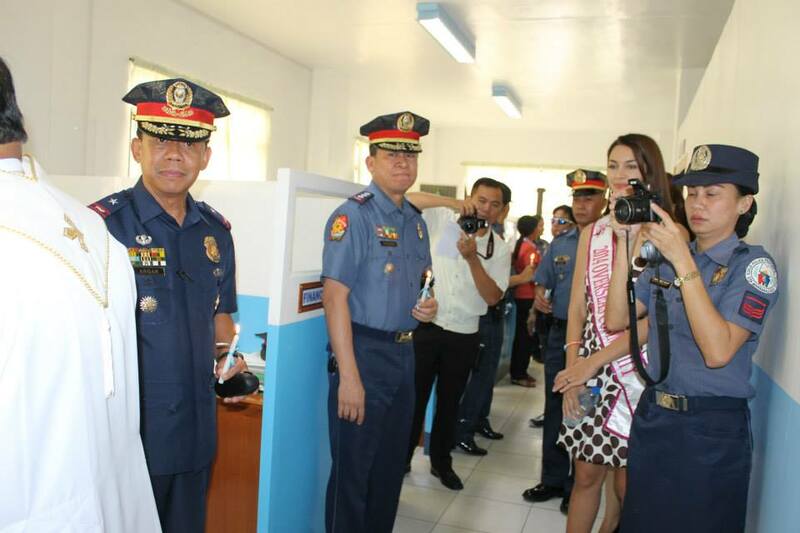 The projects were the Passengers Lounge, ECCD Training Center & Library, Investment and Tourism Building, Newly renovated PNP Office & Mayor's Office. She was joined by Cabatuan mayor Ronilo Ontanillas Caspe, Cabatuan Parish Priest Msgr. 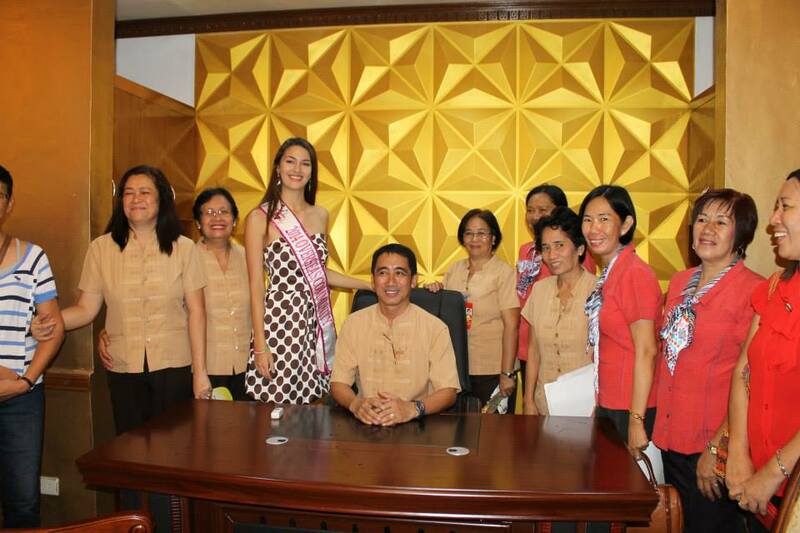 Patrick Salarda, and the upcoming fiesta queen, Miss Cabatuan 2014 Rica Paula Apistar Carreon. Other guests were Iloilo Police Provincial Director PSSupt. Cornelio R. Salinas and Police Regional Director Josephus Angan. 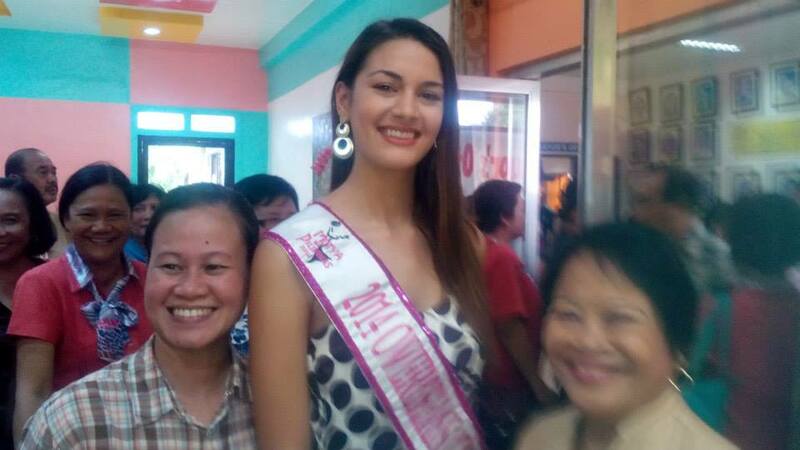 Patrizia arrived last Sunday, September 7, 2014, at the Cabatuan Airport, in time for the fiesta festivities. She will crown Miss Cabatuan 2014 tonight at 7:00 P.M., September 10, 2014, at the Cabatuan Cultural & Sports Center, together with Miss Cabatuan 2013, during the highlight of the town's Patronal Fiesta. Also at the coronation tonight will be PBB (Pinoy Big Brother) All In housemates Joshua and Loisa. Congresswoman Lani Mercado Revilla will also grace the occasion. Patrizia Garrido Bosco's great grandfather is Juan Garrido, the wartime WW2 resistance mayor of Cabatuan, Iloilo under fellow Cabatuananon, Tomas Confesor, the Governor of Panay & Romblon. By virtue of his being the Cabatuan Mayor, Juan Garrido and his family were captured by the Japanese on December 28, 1943 in Barrio Pamuringao, Cabatuan, and massacred on January 4, 1944 in Barrio Nanga, Guimbal, Iloilo. Barrio Pamuringao was later renamed Barrio Pamuringao-Garrido in his honor. Juan's other children, Manuel, Ernesto and Cesar, survived the incident by hiding in the bushes. Ernesto Garrido, and Cecilia Garrido of Pilar Camotes (Cebu), are Patrizia's grandparents. Patrizia's parents are Chona Garrido, the daughter of Ernesto & Cecilia; and the late Gaudenzio Bosco of Milan, Italy. She was only 3 years old when her dad Gaudenzio passed away from cancer. She grew up under the loving care of her stepdad, Stefano Rijoff, who was the mayor of Muggio, near Milan, during that period. Patrizia can speak the local dialect of Cabatuan and Alimodian, which is Ilonggo/Kinaray-a.